PDF is the important tool to have a paper document on the internet. It is standard, It look similar to other applications you have installed in your system, and the users can not modify or change to it.But if you want to keep it safe then you need to know how to password protect a pdf file. Luckily, PDF has support password-security for protection of PDF files to built-in format encryption.Whether you are uses Windows or MacOS, there are a few different steps to secure PDF Files by password, and this article will guide you for both (Windows and MacOS). Open Document Password: An open document password (which is known as a user’s password) requires a password for security, when user want to open this PDf file, he need to type the same password to open the PDF. Permission Password: A password is required to change the allowed permission. This is also known as master password). A Permission Password, you can restrict content, printing, modification and copy in PDF. To open the PDF Files in Adobe Acrobat, The recipient do not need a password. To change these restrictions, they need a password that you have set. If PDF is protected with both types of passwords, it can either be opened with a password. However, only the secured passwords allow the user to change the limited features. Due to additional security, it is often beneficial to set both types of passwords. Note: You can not add certified PDF File. Step 1: First of all, launch the Adobe Acrobat DC and open the PDF file you want to protect. Step 2: Click on Tools, Then Choose Protect, Then click on Encrypt and lastly choose the Encrypt With PDF. Step 3: When a message appears on the screen, if you want to change the security then click on Yes. Step 4: Choose “Require A Password To Open The Document“, Then enter the password in the related field. For every keystroke, password strength meter estimates your password and indicates password strength. Step 5: Choose one of acrobat version from the following options present in drop-down menu. Choose the version of any Adobe Acrobat or Adobe Reader to encrypted the PDF file in this particular version. Step 7: At last click on OK and retype your password in the required field and close the prompt. You can stop users from modifying PDFs. The Restrict Editing option, disallow users from modifying moving items, text, or adding fields of the form. Users can still fill sign, form fields, or add comments. Step 2: Click on Tools, Then Choose Protect, and lastly click on the Restrict Editing. Step 3: Enter the password in the related field. For every keystroke, password strength meter estimates your password and indicates password strength. Step 4: Click on OK to save the settings and lastly close the Adobe Acrobat DC. If you want to remove password protection from a PDF then you need to know the particular password which was added for protection to the PDF. If PDF is protected with server-based security policy, only the server administrator or policy writer can change it only. Step 2: Click on Tools, Then Choose Protect, Then click on Encrypt and lastly choose the Remove Security. Click OK to remove the password from the document, If the PDF File was just a “Document Open” password security. If there was a password protection on the PDF File then enter the correct password in the “Enter Password” Box. And then click OK to remove the password from the PDF File. and then click OK again to confirm the settings. Everyone not wants to spent a big part of their money on using Adobe Acrobat Premium versions. For those people there are an alternative of Adobe Premium Suite is available which is called PDFMate, The PDFMate is a free software used for opening and editing PDF files. When you installed the PDFMate in your Computer, Specially the PDFMate software is usually used for the Protection and Combination of PDFdocuments. 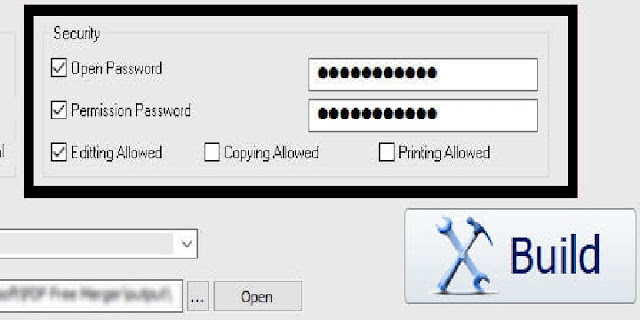 It allows you to set password in similar programs like Adobe Acrobat and Adobe Reader, One another amazing thing is available in PDFMate, You can also set your desired password for special tasks like printing,editing and copying, and the interface of PDFMate is very good and attractive. Step 1: Search PDFMate, Free PDF Merger in Google. And Install PDFMate From its official website. 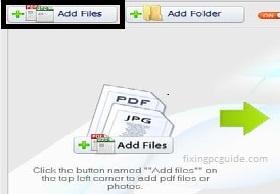 Step 2: Open the PDFMate application and click on “Add Files” present in the left hand side at the top of the display. 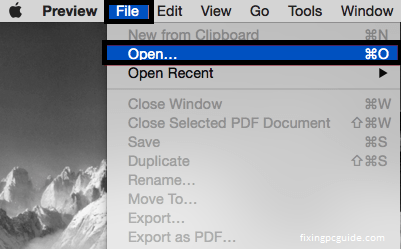 When a new window appears then double click on your specific PDF file to open in PDFMate. Step 3: Your PDF will be directly shows in the files list. There will be a task has present which is called “Open Password” in the middle side at the bottom of your display, Check the box of “Open Password” and enter your desired password in the space of “Open Password“. There is another task available beside which is called “Permission Password”, If you want to add password on other tasks like printing, editing and copying then check the box of “Permission Password“, and then give your specific password in the space of “Permission Password“. Step 4: After writing the password, there will be present “Build” button in the right hand side at the bottom of the display, click on it. After this, there will be automatically an folder appears on the screen with the new password-encrypted PDF File. Step 1: Open Preview app. In the left hand side at the top of display the is present “File” menu. Click on the File menu, when the drop-down menu is appear then again click on “Open“. When a new window appear on the screen then choose your particular PDF document-that you want to encrypt by password and then click on Open. Step 2: And If you want to edit your specific file, then edit your file and If you did not wants to edit your file there may be no problem. So after the editing and opening the PDF File, then again click on “File” menu and when the drop-down menu appears, then click on “Export“. When the new window appears on the screen the choose your desired location for your PDF File and give name to it, and where there is an “Encrypt” box available at the left side of the window, Check the “Encrypt” box and enter your specific password in the space provided for password encryption. Again enter your password for confirmation and save your file in your desired location. 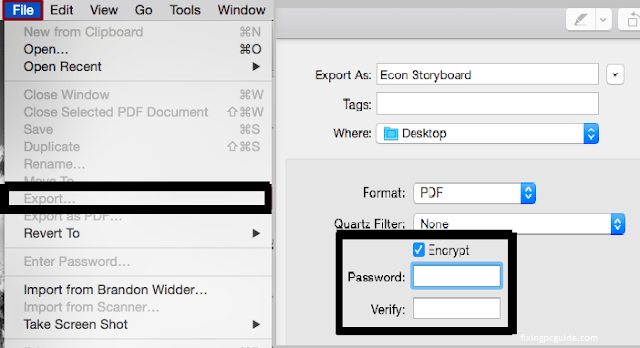 Step 3: If you want to ensure or check your PDF file is encrypted, then goto these place where you saved your PDF file in your MacOS and double click on the PDF file you have modified to open it. When you double click on the file, there will be a password window appear on the screen, give your password in the password place to open the PDF file. There will be a great security on your PDF file. After reading this post, I hope you learned that, How To Password Protect a PDF File.